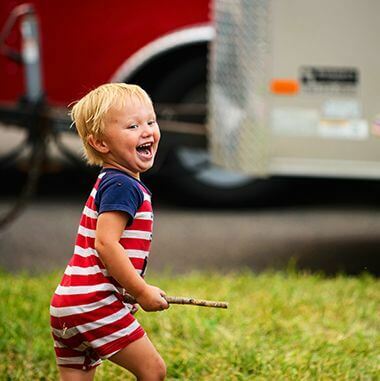 Celebrate America’s Independence Day at Minneapolis Red, White and Boom, a celebration hosted by the Minneapolis Park and Recreation Board. 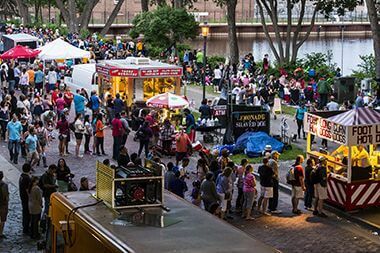 The annual event attracts more than 75,000 people to sites along the downtown Minneapolis riverfront, and features live music, great food, fun activities for the whole family, and the grand finale – fireworks! 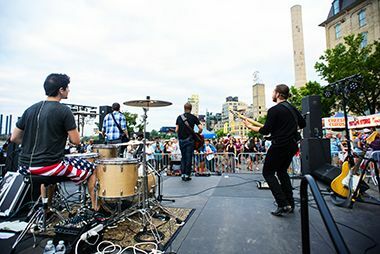 Become a sponsor of the annual Minneapolis Red, White and Boom Event and gain exposure for your organization or brand among the more than 75,000 event attendees! 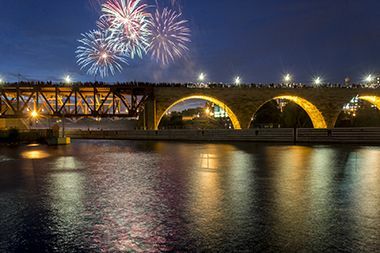 Red, White and Boom 2019 takes place along the beautiful Minneapolis Riverfront and spanning the Stone Arch Bridge. 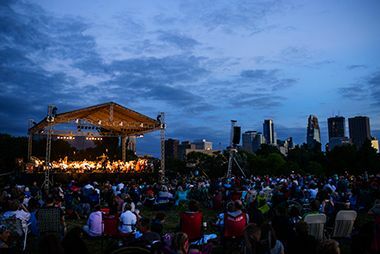 The event has become the largest Fourth of July celebration in the city. There are many ways to become involved as a sponsor, please read the sponsorship packet [PDF] (use the new sponsorship packet attached) to learn about the sponsorship opportunities for this event. If you would like to support this event please contact Erica Chua, Community Outreach Event Coordinator at EChua@minneapolisparks.org or 612-230-6479. 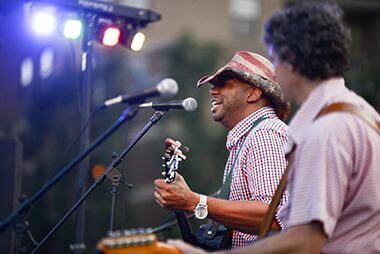 The live music, family events, and fireworks are all free and open to the public. No registration is required for these events. 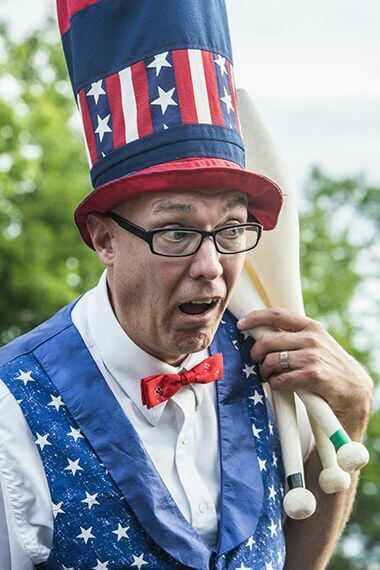 6:30 am – The Red, White & Boom! 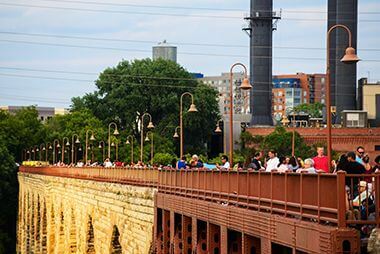 TC Half Marathon route travels through scenic Northeast Minneapolis, ending at the beautiful Stone Arch Bridge on Main Street. 6 – 10 pm – Join us in Father Hennepin Bluffs Park for FREE family activities in the Family Fun Zone including face-painting, caricature artists, & balloon artists. 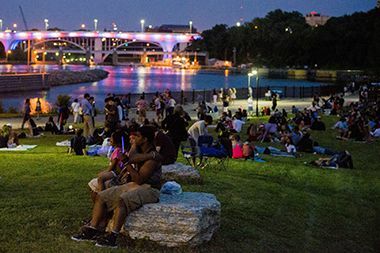 Each year a spectacular fireworks display concludes the Red, White and Boom Celebration. The fireworks display will be shot off from Water Power Park. Find a viewing area. 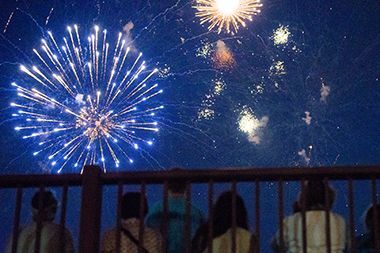 The Fourth of July Fireworks are funded by private donations from property owners, businesses, retailers, food and beverage establishments, residential communities, loft and condominium associations and property management companies located or doing business in Minneapolis. If you would like to support the fireworks through a donation please fill out the Firework Donation Form [PDF]. For further questions regarding fireworks donation please contact Erica Chua at echua@minneapolisparks.org or 612-230-6479. 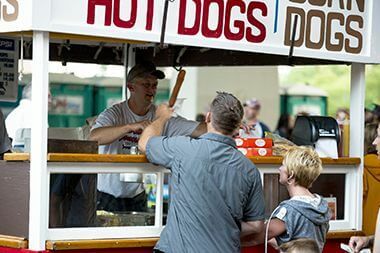 Food and entertainment vendor applications will be accepted starting the week of February 11, 2019 and will be processed on a first-come, first-served basis. Below is the timeline for vendor applications, if you have any questions please contact Erica Chua at echua@minneapolisparks.org. 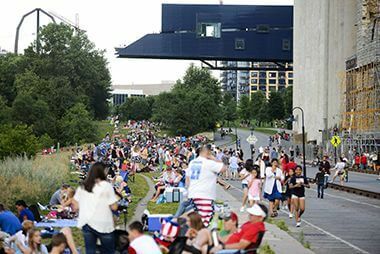 The best way to get involved with the Minneapolis Red, White and Boom festivities is to spread the word and come with your friends and family. 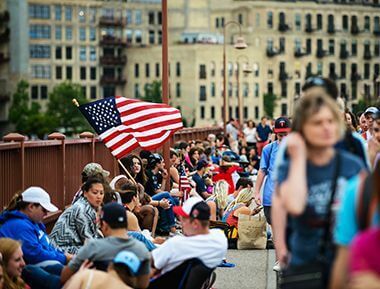 Like Minneapolis Red, White, and BOOM on Facebook to stay updated on all the Hot Dam 5K and Red, White and Boom news. 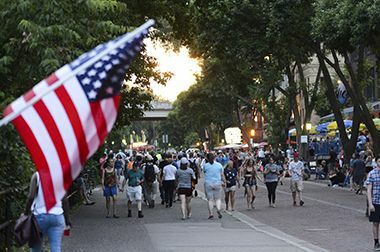 The Red, White and Boom 4th of July Celebration could not happen without the support of our wonderful local business sponsors, partners, and community members. Please be aware, there will be road closures as you make your way to the Red, White and Boom festivities. Check back for updates. 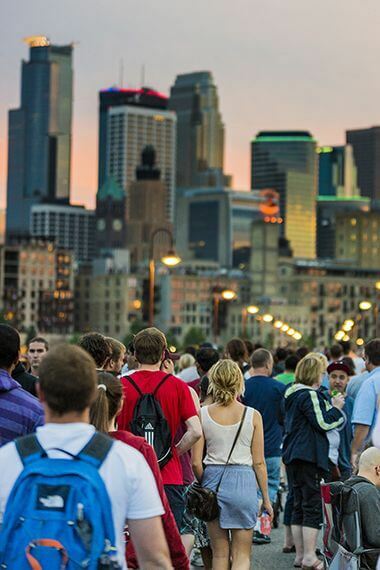 We encourage car-pooling, biking or using Metro Transit, as parking will be limited.